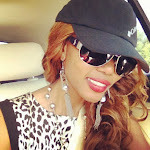 SPORAH TV: OKAY, SO WHO IS ON THE SPORAH SHOW TONIGHT.! (Check Out My Guests). OKAY, SO WHO IS ON THE SPORAH SHOW TONIGHT.! (Check Out My Guests). 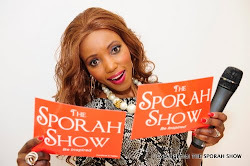 Tonight on The Sporah Show : Sporah will be talking about fashion with Arnold and his label MeFiRiGHANA after that is an inspirational women who is not only a Singer, Song writer ,Actress, Designer but also pageant organiser, then we are going to go down on stage with MISH DA FYAH SIS next is Zeinab from Tanzania who will be telling us how her life turned around after becoming a mother in 3 days and lastly but not least we will have a min competition . I call it "THE SPORAH SHOW MIN COMPETITION"
The "Me FiRi GHANA" brand was developed having realised that a generation shift is occurring – primarily amongst the Ghanaian youth living in countries outside of Ghana. We found that Ghanaian Youth living outside of Ghana were proud to claim to be Ghanaian, yet had no modern day methods of expressing their identity in a way one could relate to. As British born patriotic Ghanaians, we decided to do our part to bring about unity within the Ghanaian community and re-invest back into our country. In December 2008 the Me FiRi GHANA brand was conceived whilst studying at University. The unique design was created to showcase to the world a part of the Ghanaian identity, but before we knew it, we had a clothing line which was being demanded from people all over London and since creating our website we have connected communities from all over the world! It all started with a simple quote from Dr Kwame Nkrumah which read "the independence of Ghana is meaningless unless it is linked up with the total liberation of the African continent". The Me FiRi GHANA brand is a form of expression. An expression of identity. An expression of love for Ghana. The “Me FiRi GHANA” brand is a catalyst being used to create community cohesion and opportunities globally for all those who share our love for Ghana. The clothing was the initial gateway which helped to bridge the gap between communities who love Ghana. We are now exploring means to help bring global cohesion, opportunities and development through the brand and partnerships with those who share our passion. "YOU DON’T HAVE TO SEE THE WHOLE STAIRCASE, JUST TAKE THE FIRST STEP" - Dr. Martin Luther King Jr.
MISH (Da Fyah Sis) aka Michie P. An aspiring artist aiming to provide da best quality of music with substance, rhythm, passion and of course fire! I AM MUSIC & MUSIC IZ ME! Fell in love with it at an early age. 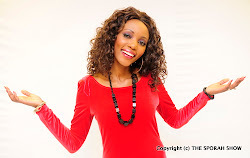 Mish is a Singer, Rapper and Songwriter - Michelle Perry (MISH) was born in Normanton, Derby, East Midlands. As a child, MISH listened to reggae and R&B, Hip Hop and Soul which was always being played. Music was a central part of the home. Her older brother Yogi, a top UK rapper, was then part of a Derby sound system called Killawatt. Her uncles also operated a sound system. It was no surprise then that MISH wrote and performed her first song called ‘Biddy Bee’ at the tender age of six. On her first stage appearance, she used this song to win a local talent contest in 1989. After moving to Reading in the mid nineties, her musical career received a boost in 1998/9 when she topped an elimination round of the Voice of 99 talent contest at the renowned London Astoria. She went on to place third at the semi-final and performed at the prestigious Caesars venue in Streatham. Consequently, MISH later performed at the Earls Court Olympia during the In Living Colour Hair show that year. In 2006 after chillaxing for a hot minute or two, MISH started her own Out4More movement and began vibing with Reading’s local artists and producers. In 2007 MISH performed at Reading Caribbean Carnival. This eventually led to her linking up with Urban Pulse the following year. 2008 became even more notable as her son Malakhi was born and this caused MISH to be even more determined to BUSS DA PLACE! Work on her debut album is now in progress. Her soon to be released ‘History in da Making’ mixtape is in the finishing stages and 2K10 is shaping up nicely. Last January, MISH performed at Inn on the Green in Ladbroke Grove in London and literally ‘tore the place down’. A DVD of this performance along with interviews will be released with her ‘History in da Making’ mixtape. Lauren Hill, Missy Elliot, Foxy Brown, Method Man, Queen Ifrika, Taurus Riley, brother Yogi and dad YaadKore. MISH DA FYAH SIS "my future plan... is to make mo mo music that can move people.. inspirational, motivational and spiritual"
had her Saturday 19th of january at 5:43pm.... the docter say I was over 6month but was not sure how long but little did they know I was over 9month and baby was on her way. straight after having my daughter on saturday I returned to school on the wednesday no one knew I was preggy until when I miss school as I always get 100% attendance.... I finished my GCSE'S went to Barking College, than City and islington and red bridge and Kingston University, University of North Carolina and jsut recently done Fitness Instructing in Newham College. I write poems, plays, doo art, paint, I do hair, Teach Dance and Fitness and have been Single for nearly 6. DON'T MISS OUT, TONIGHT 10:30PM ON SKY 184. I can't wait to watch Zeinab, wooooooooow!